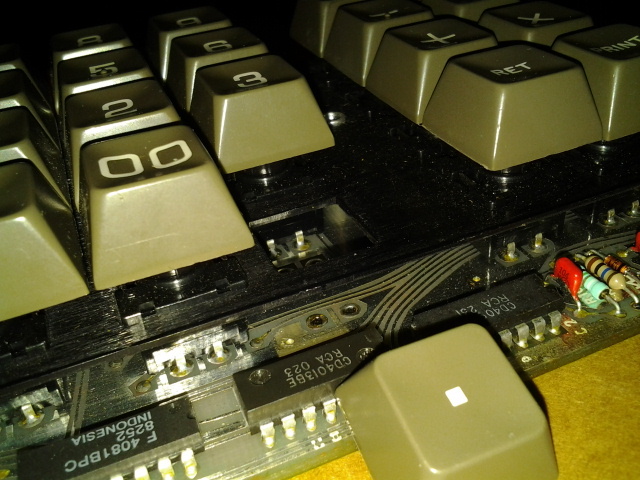 Can anyone help identify why this Apple II service part appears from the factory to be unusable? I found this service part, opened the box, and the loose “.” key has baffled me since. Network magic please. 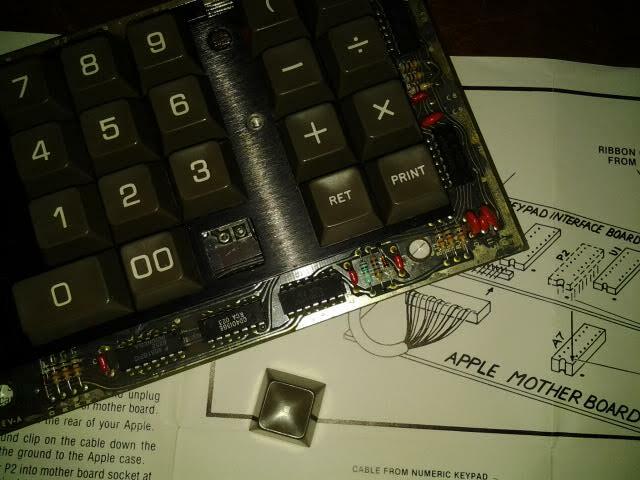 This is Apple part number 658-5016 Numeric Keypad A II – and it did not include the numeric keypad housing – just the board, in bubble wrap, plus a manual for “MODEL NO. A2M0056” (and the loose period key). Apple mailing address on the manual warranty page is for 20525 Mariani Avenue, Cupertino. Posted on January 3, 2014, in Uncategorized. Bookmark the permalink. Comments Off on Apple II service part history quiz.